Looking for stucco alternatives? What is better than stucco? SprayStone is an alternative to stucco that is extraordinarily more durable and exceptionally aesthetic. SprayStone does not have the problems associated with using stucco. Synthetic stucco is usually called Exterior Insulating and Finish System (EIFS) and has problems with cracking, staining, water accumulation and mold damage. Staining – If your stucco is untreated, rainfall can really take a toll on the exterior of your home. Rain brings with it a variety of contaminants which can become absorbed into the stucco and lead to stains. The rainwater can also wash contaminants from your roof and windows into your stucco. Over time, this leads to deposits of contaminants in your stucco as well as an overall deterioration of the stucco. Cracking – There are two types of cracking problems in stucco homes – localized issues and more comprehensive ones. Localized cracking is normally due to water damage below the surface, while general cracking throughout the home may be a result of poor workmanship when the stucco was installed. Mold – When dealing with issues of excess moisture and water retention, mold is always a concern. This issue is much more serious than the others, as it can hurt your home as well as your family. If you’re considering stucco be aware of the risks. Consider SprayStone as an alternative to stucco. SprayStone is the only high-performance architectural coating that produces the look and feel of real stone on virtually any surface. It looks real and feels real. It’s an ideal choice for exterior applications that call for durability and grandiose aesthetics. The low-VOC levels in SprayStone, make it an equally excellent choice for interior and exterior applications. Use it over concrete, drywall, columns, ceilings, architectural details, and more. SprayStone resists water, dust, and mud. 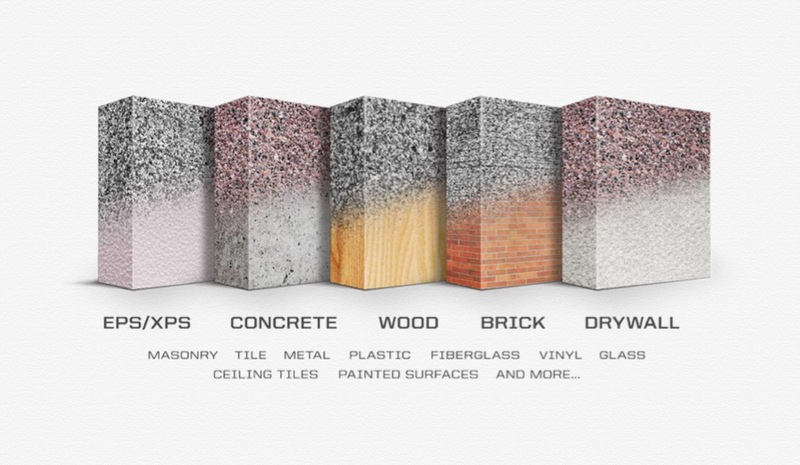 The possibilities are endless, whether the scope of your work includes restorations, new construction, commercial or residential projects, SprayStone offers a solution for every job. SprayStone is a high performance stone finish and uses a uniquely designed to use advanced acrylic resins that have been tested for decades on applications within the most extreme natural environments. These special resins give SprayStone incredible resistance to structural stress and natural elements. In fact, the oldest SprayStone projects still look like new after 15+ years of service.